savings, continued: but what about cd laddering? A fellow financial geek asked a very good question about my savings post: what about CD laddering? Fair question! CD laddering is a technique used to get more of the upside of long-term CD’s (higher interest rates) while mitigating the downside (locking your money up for years at a time). The idea is that instead of putting all your money into one large long-term CD, you build a “ladder”, breaking up your money into small chunks and working your way up from, say, 3-months to 5-years. 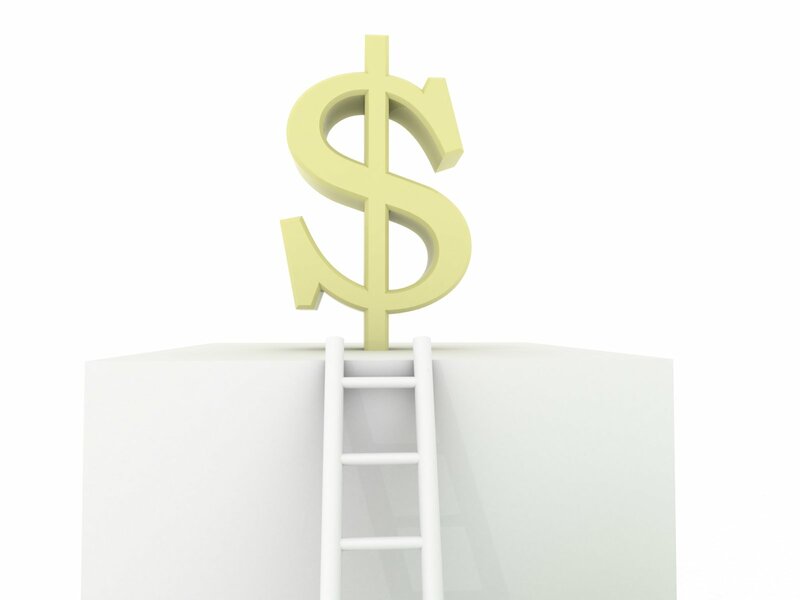 Once you’ve reached the top of your ladder, the idea is to have a 5-year CD maturing every three months; if you need the cash, you have access to (some) of it every three months, and if interest rates suddenly rise, you can slowly reinvest your maturing CD’s at the new rate. It’s pretty geeky, so a site called “financial geekery” would be remiss if I didn’t talk about it. I’ll get into the details of how to set one up a little later. For now, though, I want to talk about why I didn’t mention it in my last post. First off, as I mentioned, if you don’t already have a ladder set up, now is not the best time. 3-, 6-, and sometimes even 12-month CD’s generally are running worse interest rates than an online savings account; even when you get up to 5-year CD’s, the advantage over a savings account is only 1%-2%. If you’re not looking at putting away a large amount of money, it’s really not worth the hassle. Also, while spreading out your money in a ladder is certainly better than plunking it all down in a single 5-year CD in terms of interest rate risk, it’s still pretty much a given that interest rates are going to go up, as there’s no room for them to do otherwise! Finally, make sure you consider what that money is for. If it’s an emergency fund, think hard about how much of it you’re willing to keep illiquid; if you had a 6-month emergency fund, I might consider putting 3 months in a ladder. If the money is for a long-term goal, like retirement or college savings, you’re better off investing in higher-risk/higher-return vehicles, like stocks and bonds (that’s a post for another time). If you’re saving up for something, rather than having a lump sum you’re putting down, then it’ll be a pain to add that to the ladder while you’re building it. All that said, if you’re a geek like me, it’s a fun game to play. So if you have at least $10,000 to play with, and you’re almost positive you won’t need to touch more than 5% of it more than once every 3 months, then here’s how it works. It’s pretty straightforward, and the best way to teach is by an example. Let’s say you’ve got that $10,000, and you want to spread it out over 5 years. Step 2: 3, 6, and 9 months later, take the currently-maturing CD and invest it in a 5-year CD. This is the annoying part — if you don’t do this within a certain period of time after the CD’s maturity (the “grace period”), it will automatically renew. You don’t want the money from the 3-month CD to become another 3-month CD — you want it to be a 5-year CD! Put the dates in your calendar, preferably with automatic reminders (huzzah, Google Calendar). Step 4: For the following 4 years, repeat steps 1 and 2. Five years after you started, you’ll have 20 5-year CD’s, one maturing every 3 months. At this point, you can let it go on automatic; unless you need the money, when a 5-year CD matures, you can just let it renew — hopefully at a higher interest rate!